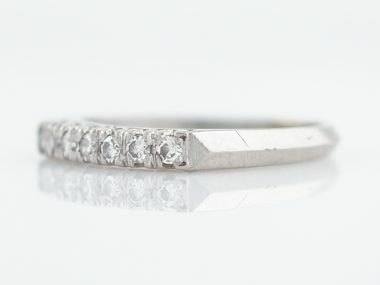 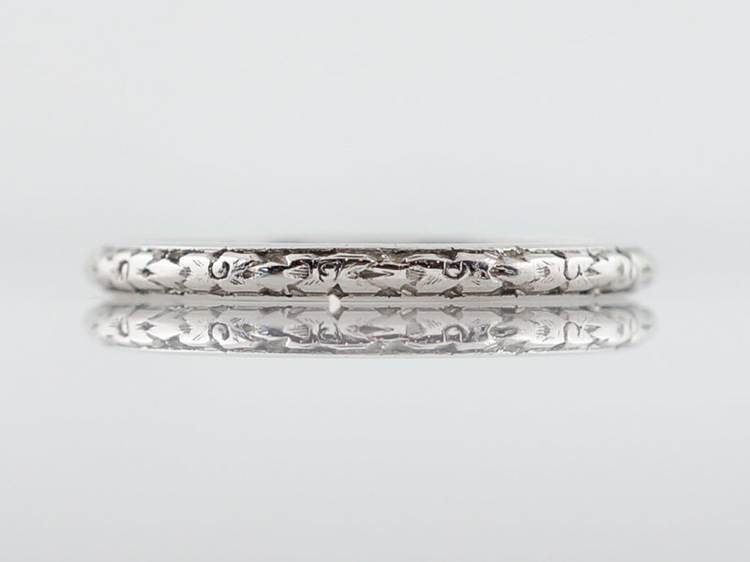 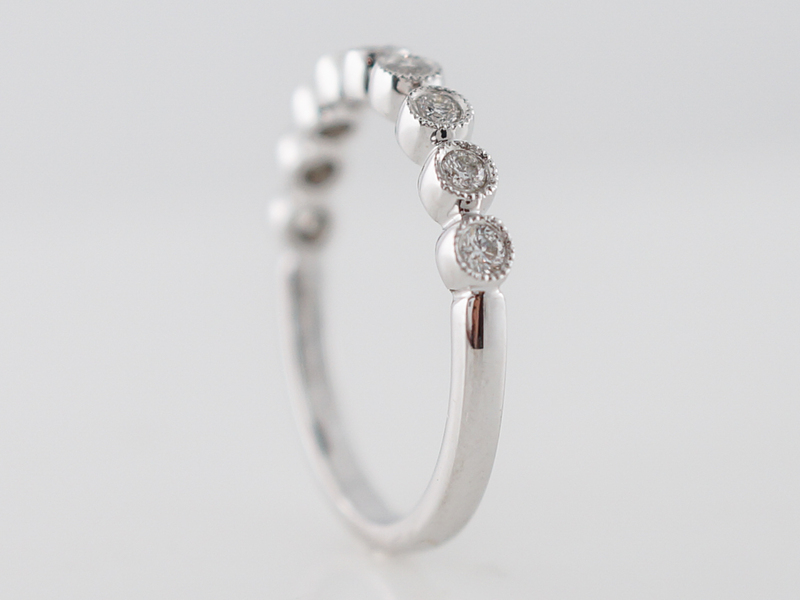 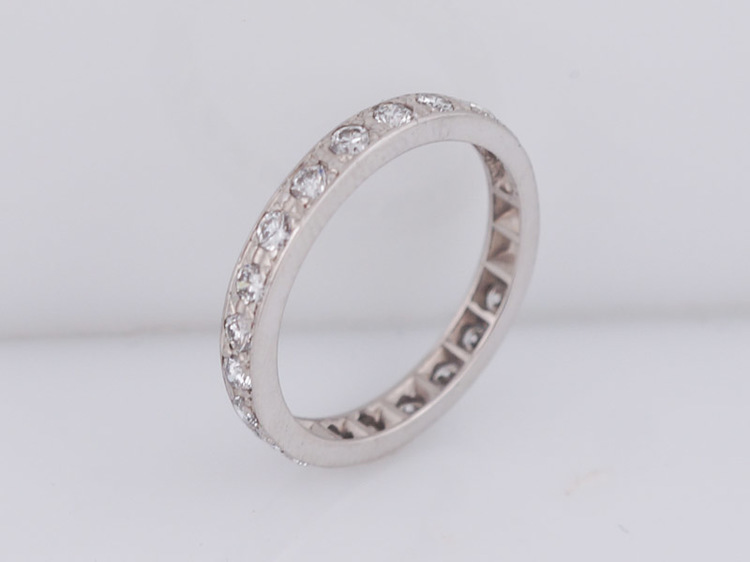 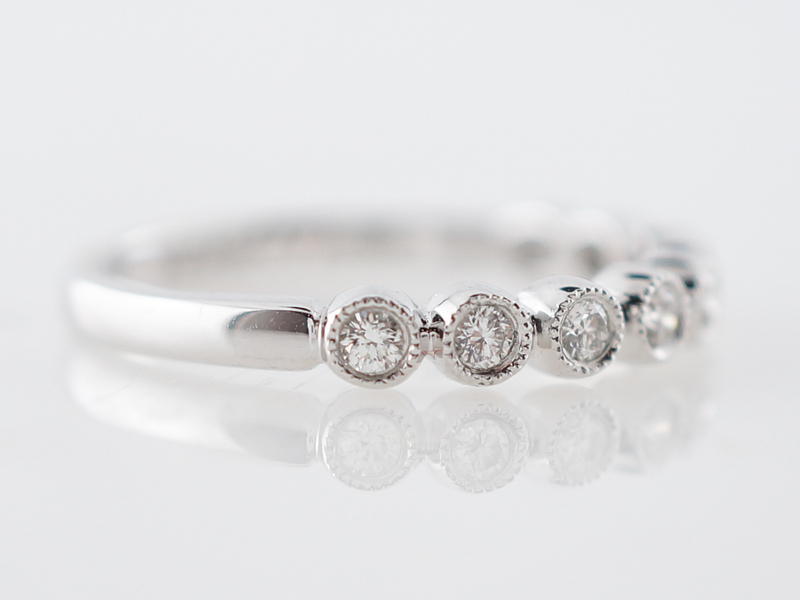 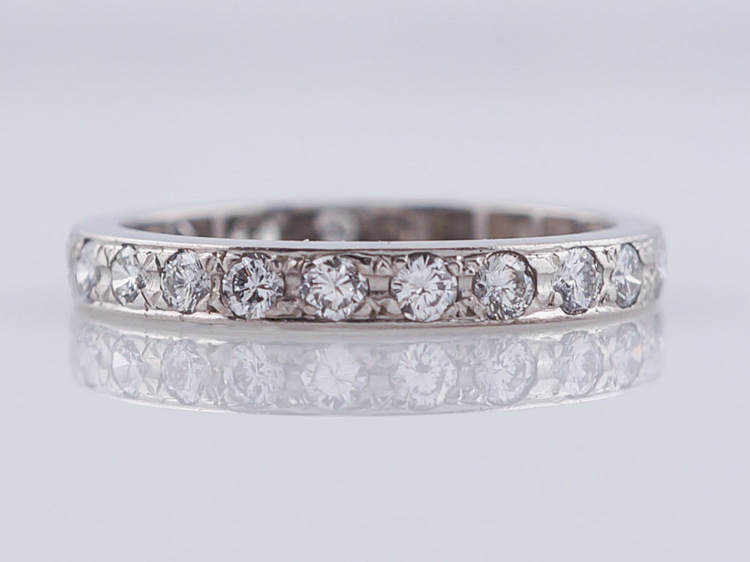 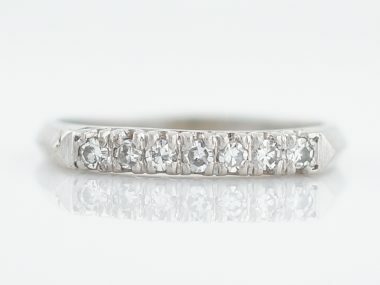 This modern wedding band could also work well as a right hand ring. 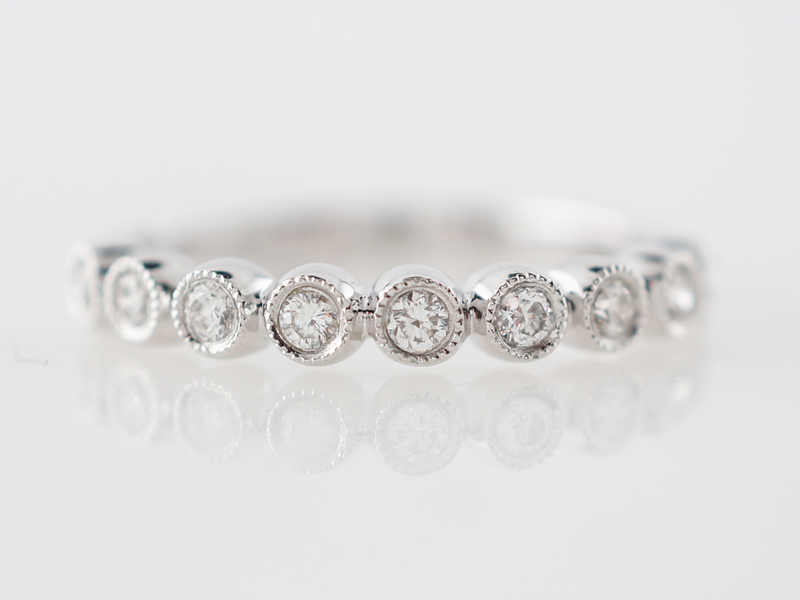 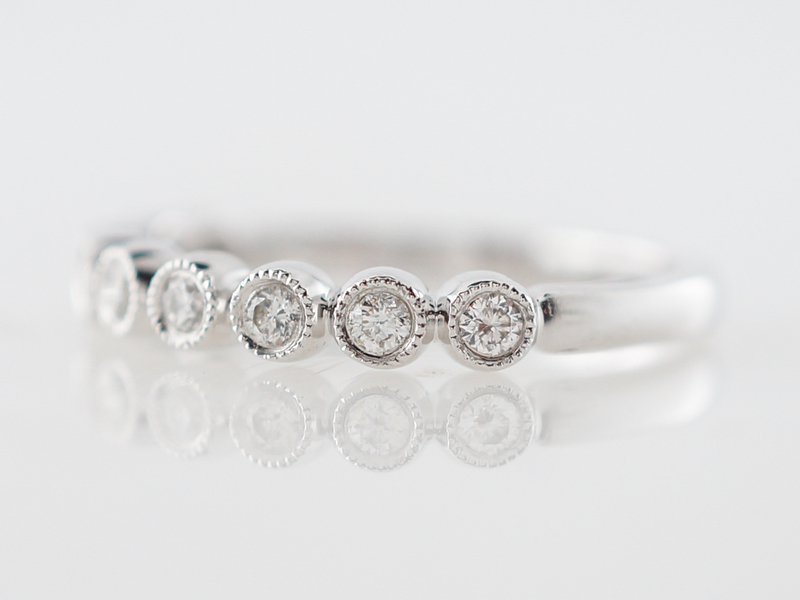 With nine (9) round brilliant cut diamonds set into individual bezel stations and framed with milgrain detail this ring is eye-catching and unique. 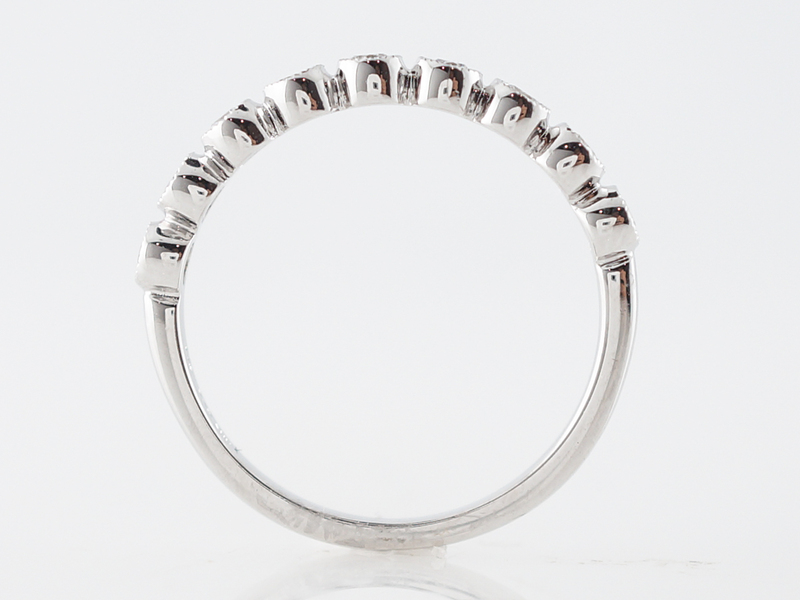 Finished in polished, smooth 14k white gold, this versatile ring has a bold look.